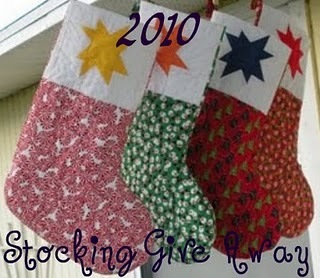 the Great 2010 Stocking Giveaway! How about a giveaway to kick off December? I thought this sounded like a fun one to take part in, so I ran around madly yesterday, trying to finish my crazy-last-minute-idea and create something that resembles a stocking. How did I do? I had the felt stocking shapes already cut (from a project in 2008 that I never finished). I stuck American Crafts Tinsel thickers on (with a bit of help from my hot glue gun - amazing how well it works when you use it properly!) The stocking is made with Basic Grey's Eskimo Kisses line. I'm happy to post International, but you may not receive your parcel in time for Christmas. To enter, leave a comment and tell me - do you leave stockings out for the jolly man in red? Entries will be open until 12 midday AEST (we don't have daylight savings in Queensland) Wednesday December 8th. Only one entry per person, please. Winner will be chosen using random.org. Please leave an email address so I can contact you easily. Good luck! Super cute giveaway, Cate. :o) Yes, we put stockings out for the man in red. It's always been an annual tradition for us. Yes, we leave felt stockings we made when the kids were little - they used to go out on the landing and not in their rooms because that the thought of Santa actually in a bedroom was a bit scary for my DD! Yes, we put stockings out, but our girls know that it's mommy who fills them with all their wonderful goodies! Of course we leave our stockings out on Christmas Eve!! Do you think there are some people who don't????? Yes, both my girls leave out stockings that I made for them. Only Santa gets a little annoyed because I made them a little too big and they take some filling!! We don't do stockings now, but when the kids were little we did them occassionally. I found it was getting expensive to fill them for six kids! So some years on, some years off...the kids did enjoy them though. We use our stockings for decoration yet we no longer fill with gifts (My mother turns 80 soon). The stockings remind us of happy past family Christmases. Thanks for this giveaway. 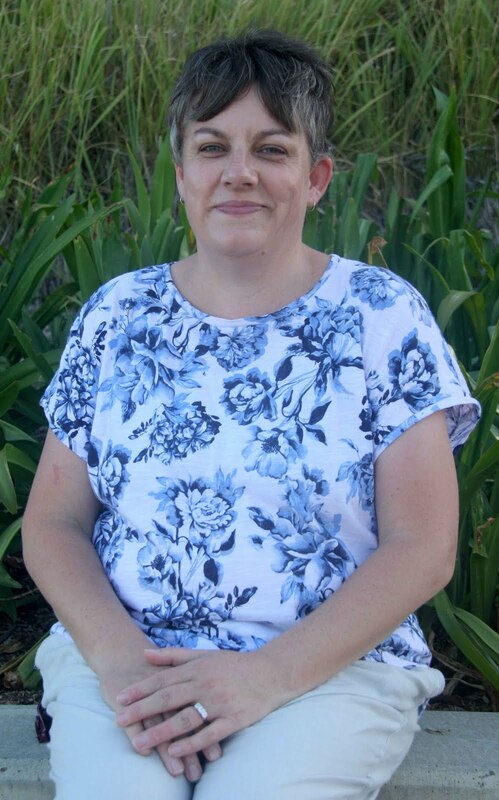 It is rather fun to visit so many new to me blogs. We actually leave FIVE stockings out. Even though our children are grown, they each have their own stockings with gifties in them. We don't have the tradition of putting stockings up in Germany, but on St. Nicholas' Day (6th of December) the kids put their cleaned boots in front of their door and St. Nichloas will fill them with oranges and nuts and candy. Gorgeous stocking and I love the banner. Great job! We leave out stockings every year for the fat guy. The stockings have all the goodies. Candy, treats, fruit and little fun things. Plus, for some reason there are always batteries in the stockings. Strange. What a fun giveaway. I do leave stockings out for anyone who is staying at my house over Christmas. We don't leave stockings out any more but we use to when our kids were little. I love this time of year. Hi! I'm not sure I'm commenting in time or not as here it's still Dec 2nd at 6:30 pm. It will be interesting to see what time it is where you are when I hit post. I would love to be a part of your stocking giveaway. Thanks for the chance.! I don't hang stockings, I put them under the tree. One is for my pet, too. Lovely giveaway. 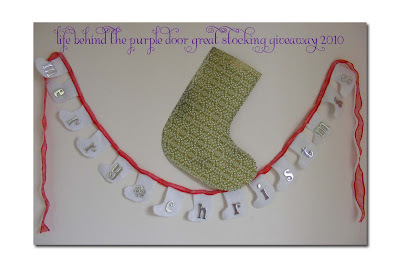 Very cute giveaway :) We have stockings, although I keep telling the kids they are too old for them now, lol! Oh yes, we do stockings for everyone no matter what their age! I think being creative in shopping for the stocking stuffers is great fun. It's our tradition to put an orange or tangerine in the toe, along with some small chocolates. We wrap our stocking stuffers to make it more fun to find out what is in the stocking. Then on to the main event, the presents under the tree! Yes, we always hang stockings. It's such a fun tradition!